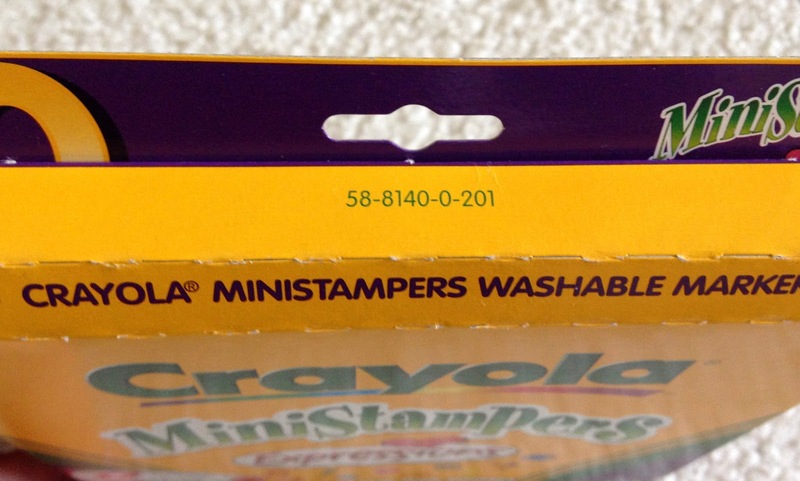 I also recently was able get pictures for many historic Crayola MiniStampers markers. 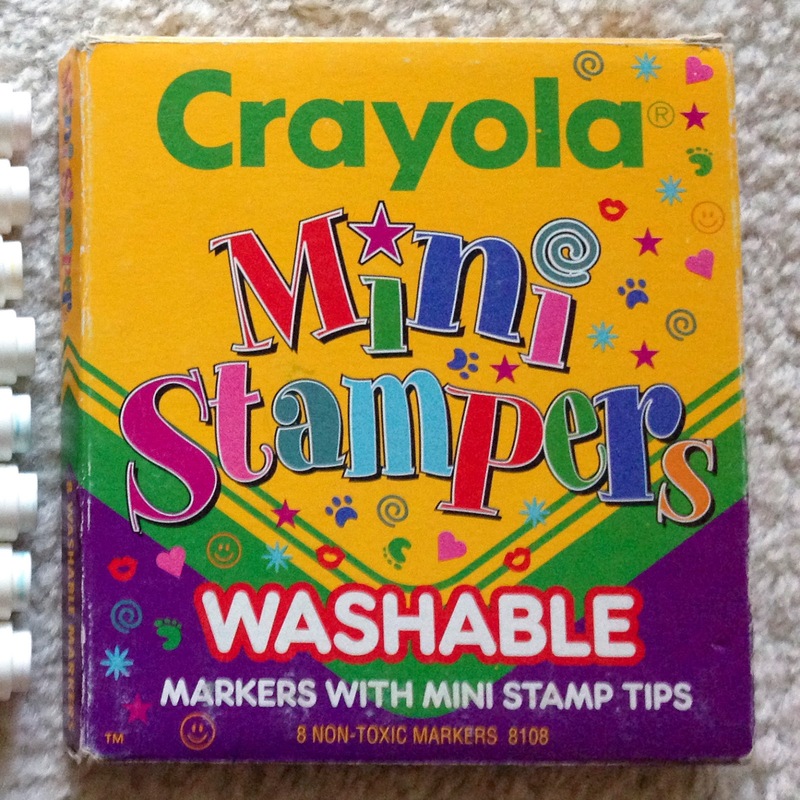 The Stampers started in 1994. 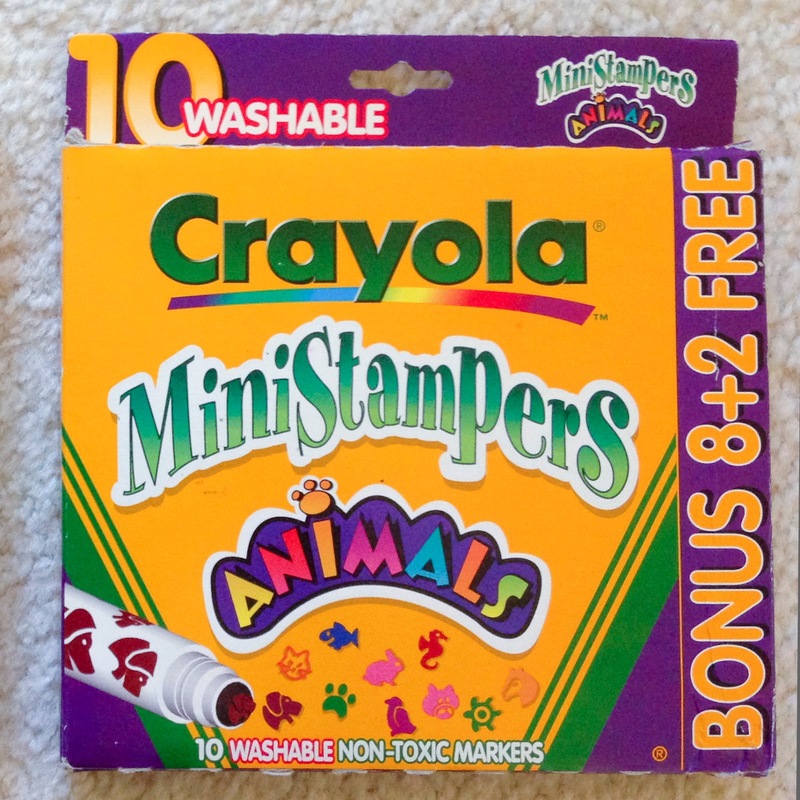 Stamping was big back then and I imagine Crayola wanted to get in on the trend. 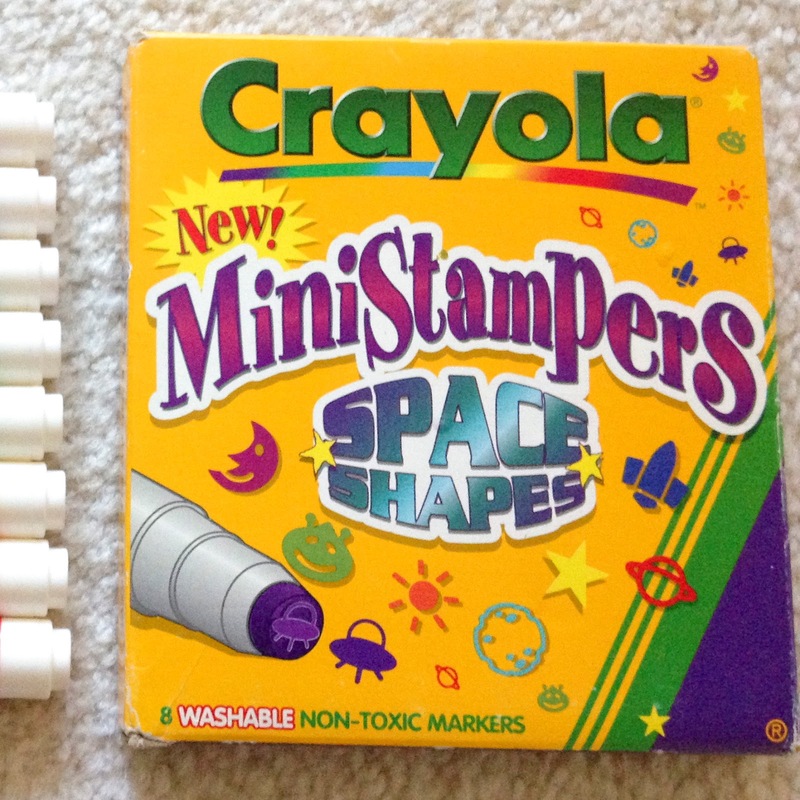 In 1997 and 1998 Crayola introduced Stampers for all kinds of themes. 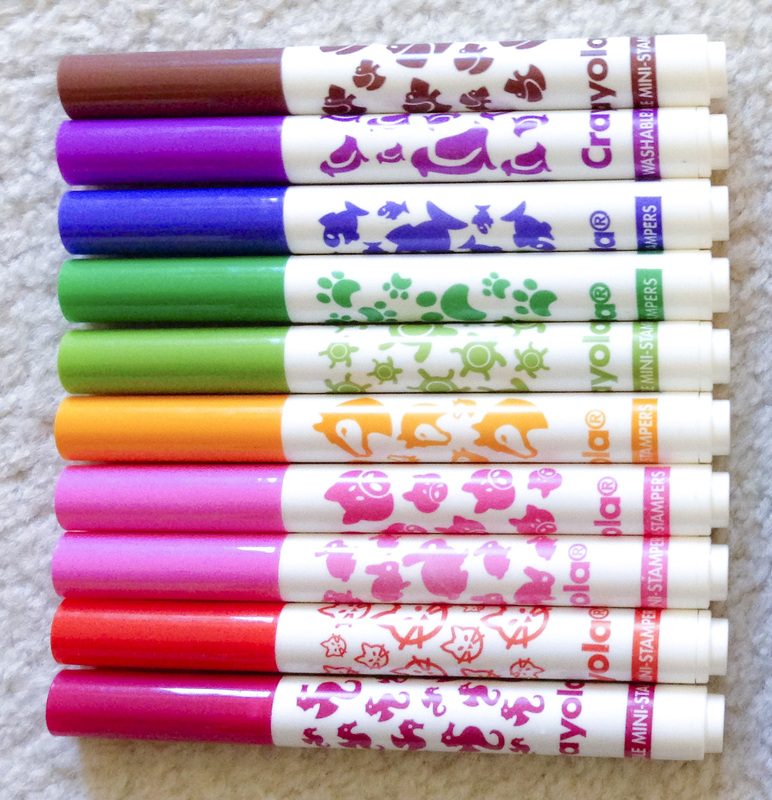 Crayola made; expressions, space shapes, animal shapes, pet shapes, nature shapes, party, four seasons and fun shapes. 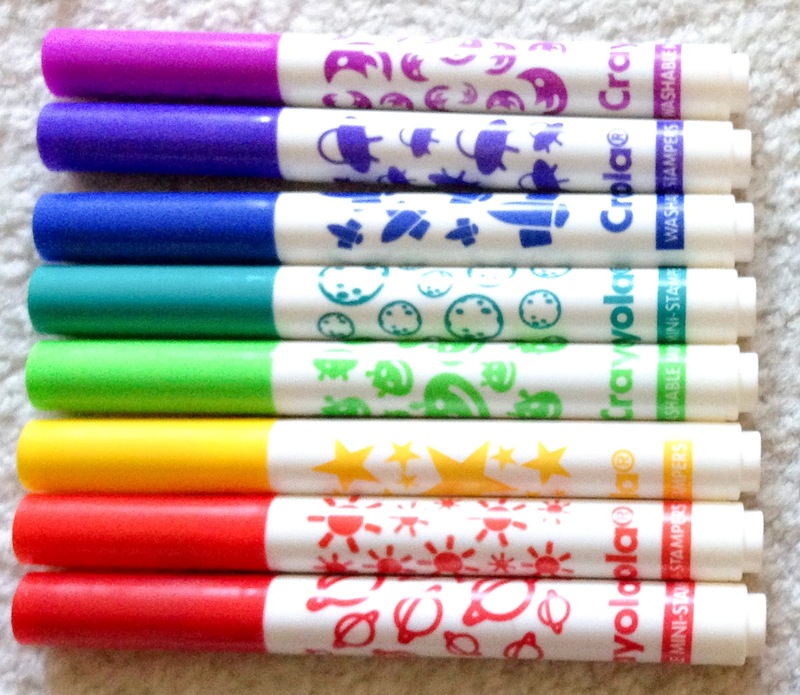 It seemed Crayola was very excited about their expression line and made them for everything. They probably cut back on them because they realized they had too many. 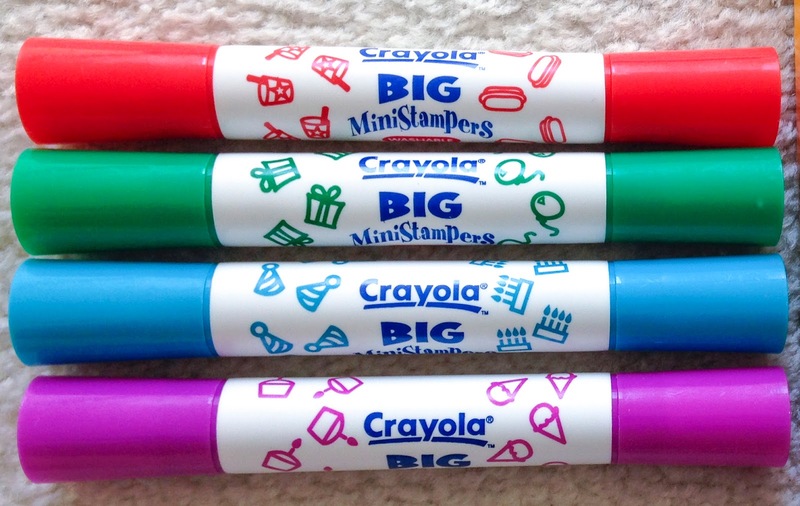 I am so excited to find this history for these markers. 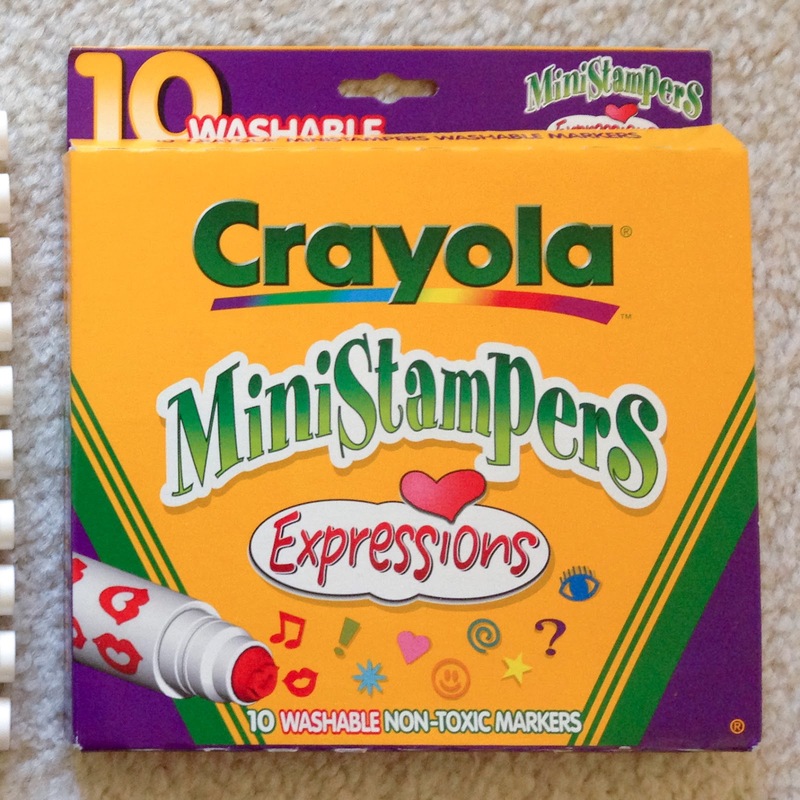 I love the Crayola Stamper markers both the Shopkins ones and the mini Expression markers. These ones are both currently on the market. 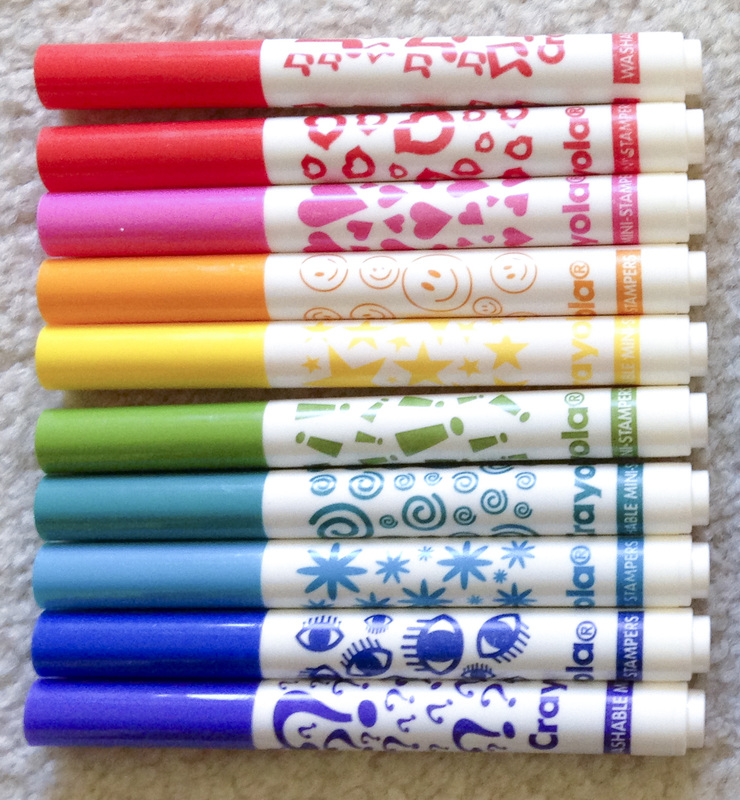 The markers have little stamps of different shapes on the tips of the markers. They add some really nice elements to artwork. 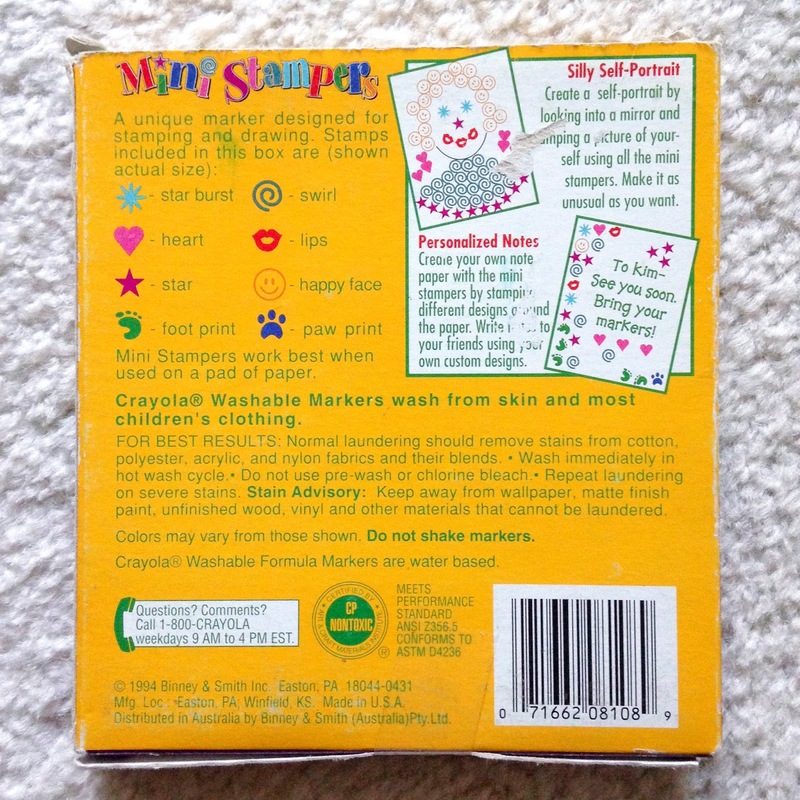 We used the mini Stampers on my daughters potty training chart when she was potty training. She still keeps that chart under her bed and is super proud of it. 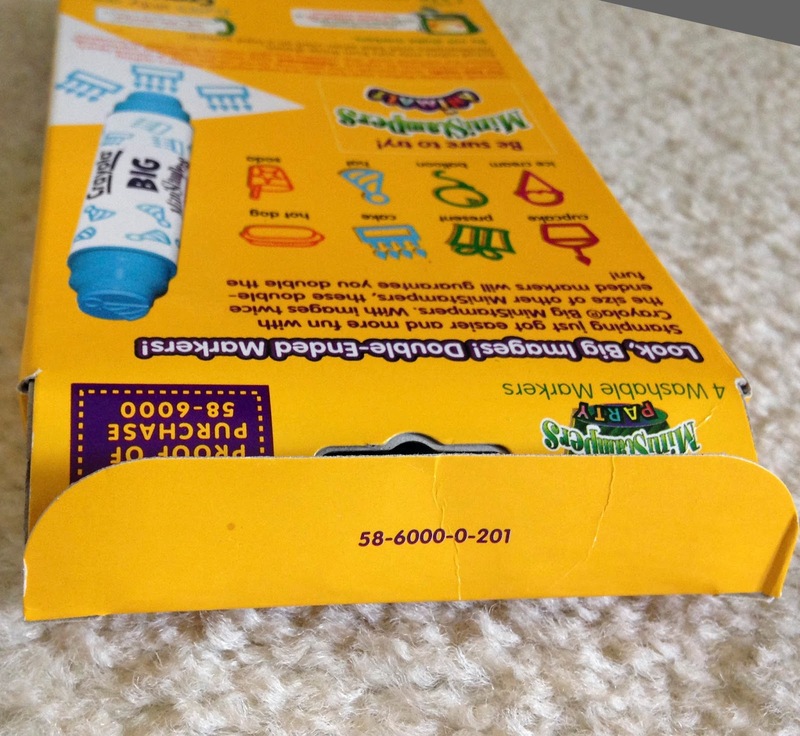 The Shopkins markers feature some of the classic Shopkins unique symbols including the S for Shopkins and the shopping bag. 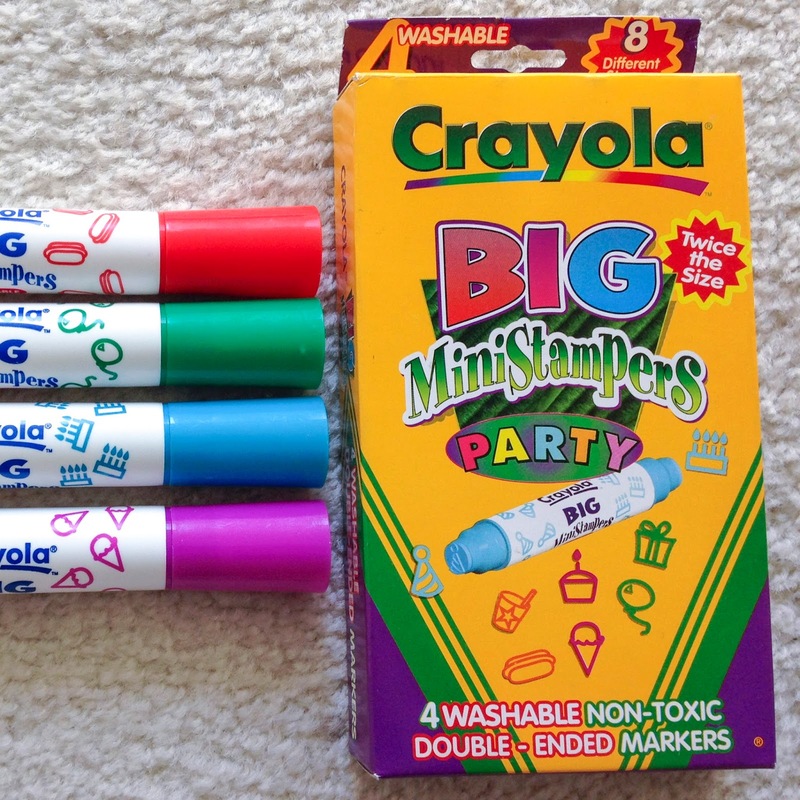 There markers are a lot of fun and I definitely recommend them for anyone with kids, and they are washable! Stacy Hodges took the pictures for the last five marker sets. 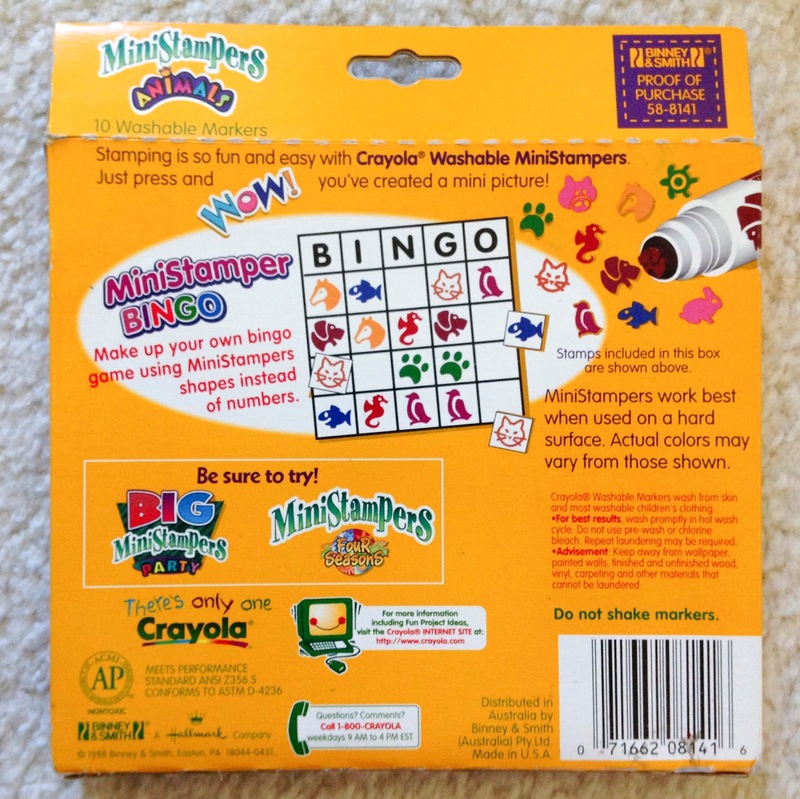 Crayola also likes to include Stamper markers in holiday sets. 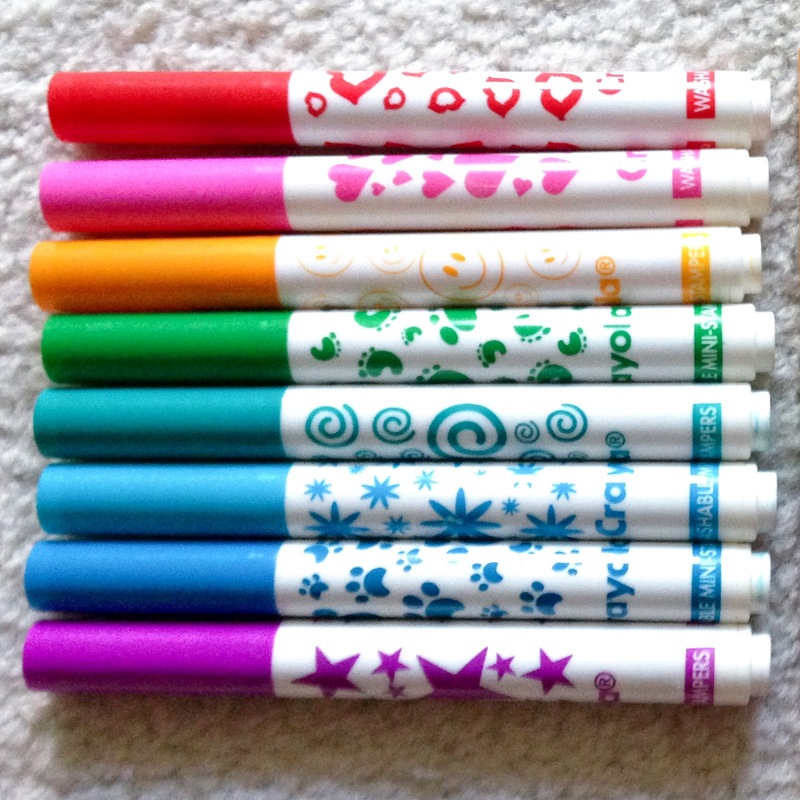 The Holiday marker set and Valentines set from Target had stampers in the set. 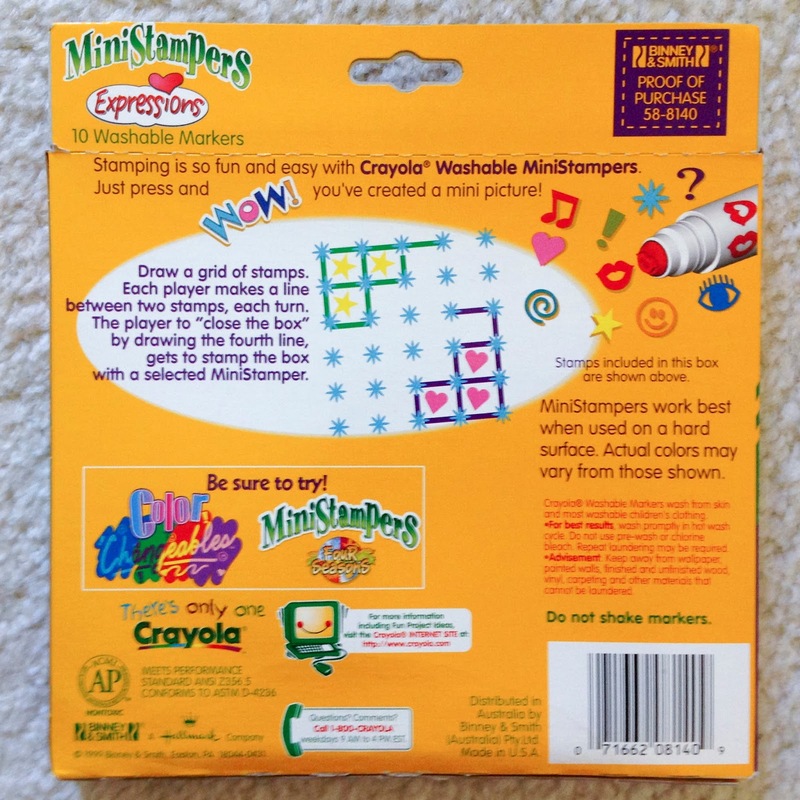 The Crayola Emoji Maker also allows kids to make their own color of stampers. It is interesting to note that the Expressions set of markers does not have names while the Shopkins set of markers does. 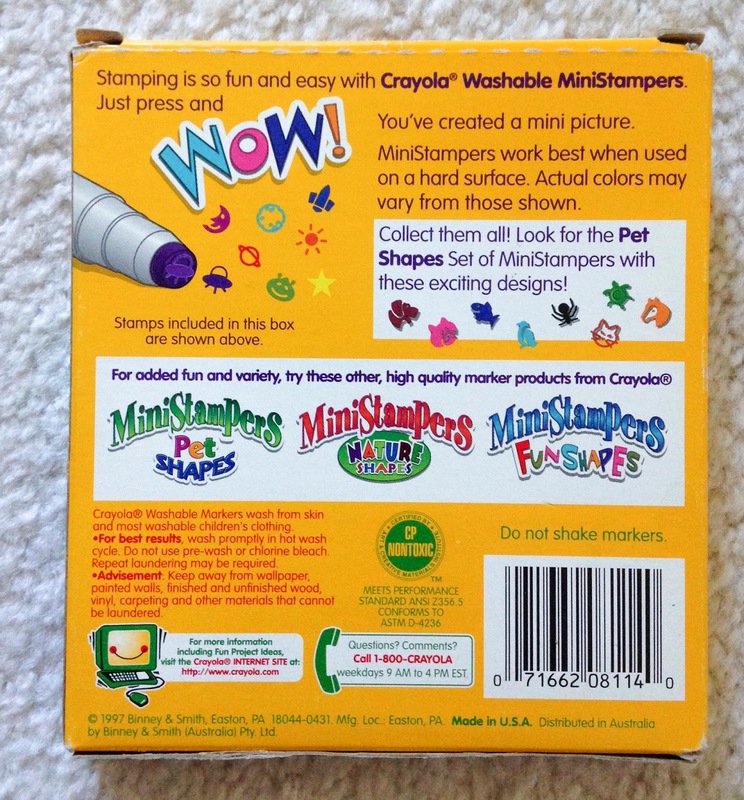 The very first box of Mini Stampers had the names on the back. The Expressions and the Shopkins Stampers are currently available (2017). The others are very collectible especially the ones that were not expressions. Other boxes: From looking at the back of the boxes there were pet shapes, nature shapes, party, four seasons and fun shapes also. 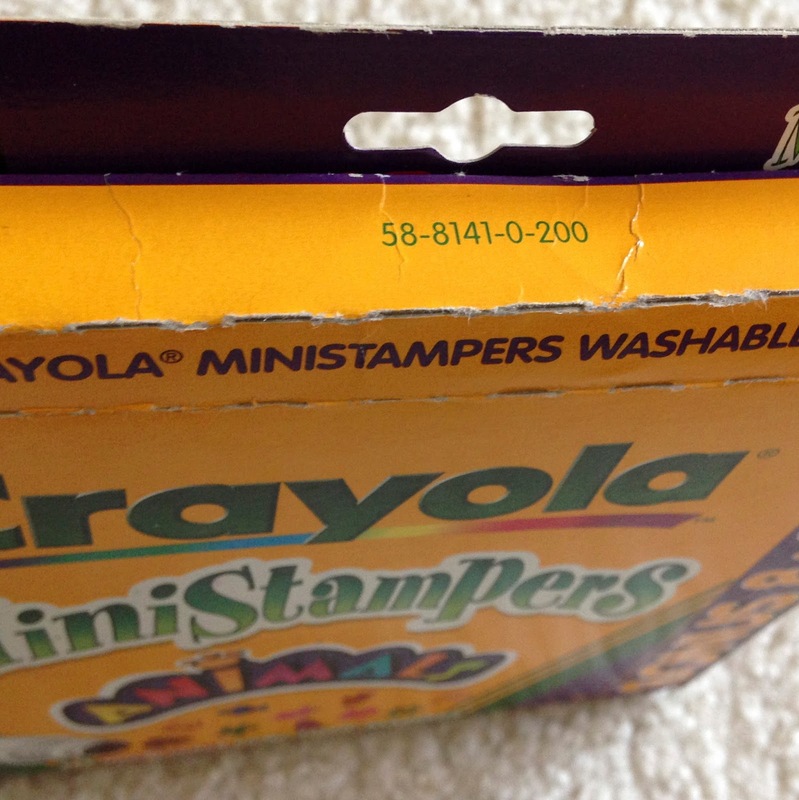 There is another box Party box since this is the 58-6000-0-201 box. Animals: paw print, sea horse, cat, penguin, dog, horse, bunny, pig, fish, sea anemone?